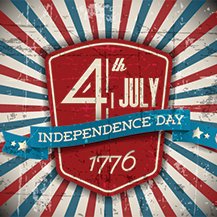 Open the conference by celebrating America’s birthday with fellow attendees. Keep an eye out for further details! If you have a talent for remembering facts, you’ll excel at this event. 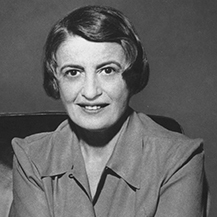 Put your knowledge of Ayn Rand’s life, writing and ideas to the test with some friendly competition. Who knows—you might go home a champion! A cash bar will be available. Yaron Brook, executive director of ARI, will present an update on the Institute’s current projects and recent successes—as well as its future goals and other exciting news. This is your opportunity to see what’s happening in the movement for free markets and a pro-reason culture. No registration is required for this event. Cash bar will be available. At this year’s book signing, the following speakers will sign their works. You’re welcome to bring your own copy to be signed, or you can purchase books from OCON Attendee Services while supplies last. Don’t miss this opportunity to meet these Objectivist authors! In addition to book-signing titles, we will sell copies of Ayn Rand’s Ideal, starting on its publication day, July 7. We will ring in the publication of Ayn Rand’s novel, Ideal, with an evening highlighting landmark events related to the novel and play. Academy Award™-nominated producer/writer/director Michael Paxton will discuss the history of the world-premier theatrical production of Ideal in 1989 and the adapted film version of scenes from the play in 1997. He will screen stills and clips from both productions, giving historical context and insight into the creative process of these versions of Rand’s play (which will be available in the soon-to-be-released, 20th-anniversary Blu-ray edition of Ayn Rand: A Sense of Life). In addition, Shoshana Milgram will briefly discuss Ideal’s place in the body of Rand’s works, the efforts of Ayn Rand and others to produce the play, and the actors considered.